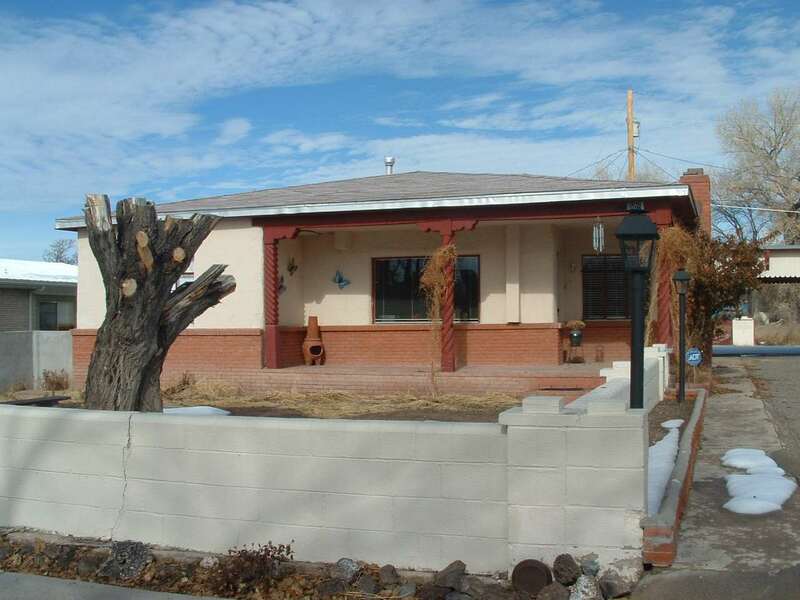 Three bedroom one full bath, one half bath single family home located in the center of Espanola. Lovely private street offers a convenient commute to Los Alamos, Santa Fe and Toas. This home has recently been upgraded and ready move in condition. Forced air heat and Evaporative cooling. Living room has a wood burning fireplace for those cold winter months. There is a two car carport that provides direct entrance. The kitchen offers Dishwasher, Range/Oven and refrigerator. There is also a washer and dryer. All city utilities are available, natural gas, sewer and public electricity. Directions To Property: On Riverside Drive Headed North Pass Wells Fargo Bank Go Approximately 1/8 Mile Turn Left On W. Pueblo See Sign On Right.